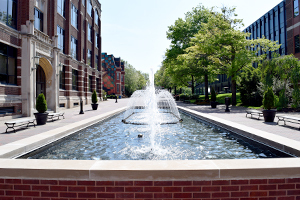 Experiential Education at the Duquesne University School of Pharmacy gives students the opportunity to take the skills and knowledge gained in the classroom into the real world in diverse practice settings throughout all years of the professional phase of the Pharm.D. program. 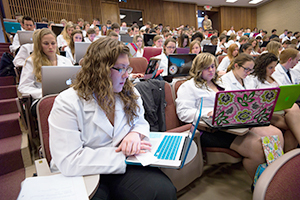 The first two years of experiential education immerse students in introductory practice experiences in community and institutional pharmacy settings. These introductory rotations serve to progressively develop the professional insight and patient care skills necessary to advance into direct patient care responsibility-a major component of the advanced practice experience rotations. Students spend the final year of the professional phase entirely in experiential education settings. 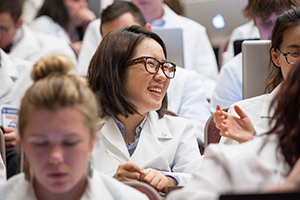 Students experience direct patient care through core experiences in community, acute care, institutional, and ambulatory settings. In addition to the core focuses of experiential education, students will have the opportunity to pursue elective practice experiences in a wide variety of settings. 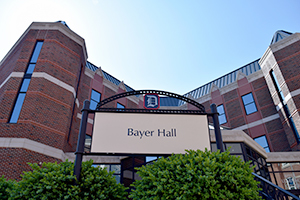 Besides gaining experience at one of the 11 Academic Partners of the School of Pharmacy, students participated in rotations at prestigious institutions, sometimes well beyond Pittsburgh.